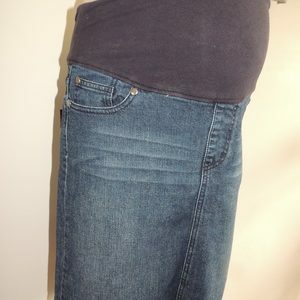 The skirt has a white stretch knit foldover waistband for extra comfort. It is an a-line style in a floral print. This lightweight skirt will be perfect for spring/summer. It is new with tags by Maternity Plus for Ninth Moon. 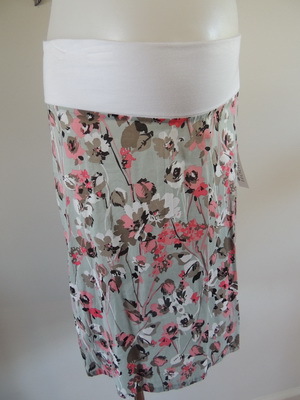 Be the first to review “NEW Floral Cotton Maternity Skirt” Click here to cancel reply.